I filled my home with fresh spring blooms over the weekend, and it smells divine. So I just thought I'd share some pics of them this week for my photo a day challenge. 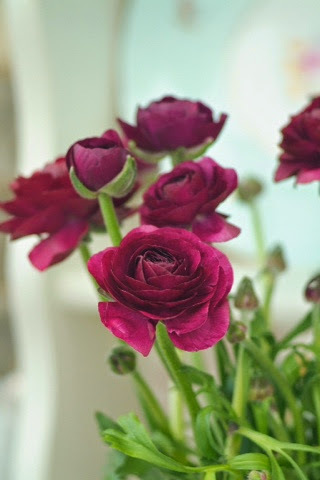 I'm kicking off with these beautiful ranunculus, hope you like them.